September will mark the close of a chapter both for myself and the Carson Valley Times. It has been my great honor to serve Carson Valley through this web site for the past four years and I have repeatedly been amazed and humbled at the way you have embraced this idea and continued to contribute to it. Whether with your photos, your news tips, your questions or your ideas – I’ve appreciated it all to levels I can’t even begin to describe. I’ve often said the CVT is a one-man operation with an entire community’s worth of support behind it – and without the latter, it wouldn’t be much of anything. In 50 months of operation, more than 8,000 stories and more than 20,000 photos have been posted to the web site – and a vast majority of those have been submitted by you. The Carson Valley Times has been viewed just a shade under 4 million times by more than a half-million people (which, frankly, are numbers I still can’t quite wrap my mind around). It has been a seven-days-a-week endeavor, with those days often stretching out over 12 to 16 hours without much of a break. I’ve posted stories from the bleachers of my kid’s ballgames, standing in line for the Matterhorn at Disneyland, and even bouncing between an old cell phone and an Amazon Kindle in a hotel room while a fire blazed away back home. Along those lines, change was something of an inevitability. Early in August I came across a job opportunity that simply was too good to pass by. It was at a local organization I admire with people I greatly respect standing at the helm, utilizing a skill set that was something similar to what I already had in my possession. And, it gave me some time back with my family. I’ll be starting that job next week. 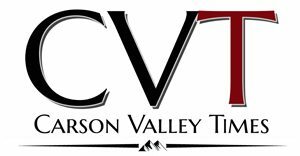 As a result, the Carson Valley Times will begin to take on a very different shape in the coming days and weeks. The web site will remain online. I will continue to publish photo galleries and the occasional feature story. The link to the police scanner and the weather page will remain as is. I plan to continue to curate the pages with historical value such as the “Pieces of History” page. And I’ll be adding to the “Growing Up Gardnerville” series over time. Expect the web site to have more of a focus on the bigger, more in-depth and timeless pieces I and the incredible stable of freelance writers who offered their talents to this effort created over the past four years, and much less focus on what’s happening today. I’ll be putting together the Douglas High School GameDay magazine through this school year and continue to make it available online. And the morning news roundup will continue through September. Up-to-the-minute news and community updates, though, as well as the calendar of events, will cease — I fully realize that was what many of you found the most value in, and I truly apologize that it’s going away. The CVT will become much more of a hobby and much less of a business. Many have suggested that I sell the publication, or find someone else to run it. Several have even offered to do it themselves, and I greatly appreciate the sentiment. But, without getting into an extended discussion as to the future of journalism on the whole and the role global digital advertising entities like Facebook, Google and Apple will play in that picture, it is just not a viable option. It was because of y’all. When things happened, you let us know about it. You weren’t afraid to ask questions, offer ideas or make suggestions. And you weren’t afraid to let me know when I’d missed something. You were our eyes and ears all around the Valley, and it was an incredible thing to watch happen. So, thank you. It’s been an incredible ride and one we’ll always hold close. We’re looking forward to seeing what this next chapter holds. Thank you for your tremendous efforts to bring a special kind of periodical to our Valley. I am glad you are not going away; and I wish you and your family all the Best! The loss of the CVT will be a loss for the entire community. Thank you for all your time and hard work. You have done a brilliant job Joey ! CVT is so much better than all the local print newspapers. Thank you for publishing so many of my photographs in the few years I have lived in Minden. Thank you for all of your efforts on behalf of our community. May God bless you, your family and your future endeavors. The CVT has been, for me, a refreshing look at our valley. Thank you for all your effort, time and interest in this beautiful area. you but hope for your success in your new endeavors! And enjoy your family! Thank you for everything you’ve done for our community Joey! Admire your dedication.